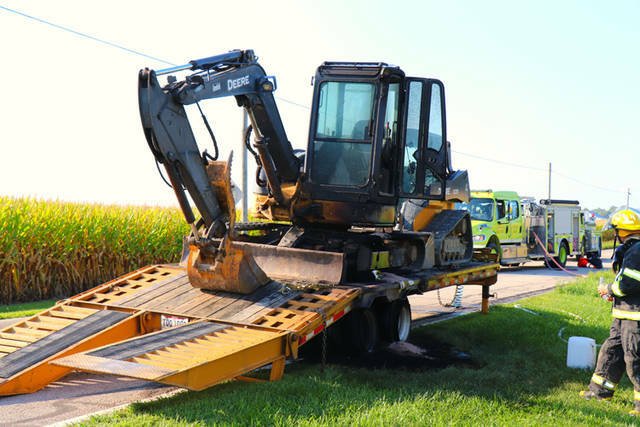 Fire ignited a trailer loaded with a track hoe and skid steer on Monday near Pitsburg. PITSBURG – Fire ignited a trailer loaded with a track hoe and skid steer in the midst of being hauled. 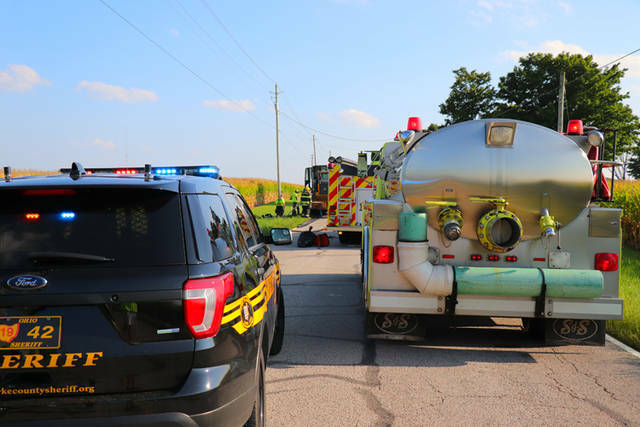 At approximately 5:15 p.m. Monday, Pitsburg Fire along with deputies from the Darke County Sheriff’s Department were dispatched to the area of Gettysburg Pitsburg Road and State Route 49 in reference to a trailer hauling a track hoe on fire. According to Pitsburg Fire Chief Tal Mong, a trailer owned by Denlinger Enterprises, Inc. was being hauled when the occupants of the truck noticed the trailer smoking. The driver and occupants of the truck were able to drop and unhook from the trailer and pull a safe distance away before the fire was able to spread to the truck. It is believed a faulty axle was the cause of the fire spreading to the wood frame structure of the trailer and eventually on to a John Deer 50D track hoe. 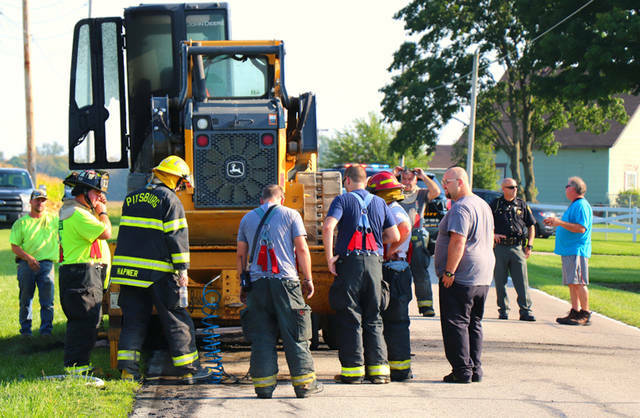 Fire crews from Pitsburg Fire Department were able to contain and knock down the fire before any damage could be done to the accompanying John Deer skid steer that also was on the trailer. The short section of Gettysburg Pitsburg Road Between Oaks Road and State Route 49 had to be closed while personnel from Englewood Tow and Recovery unloaded and transferred the machinery and remove the trailer from the roadway. This entry was tagged Darke County Sheriff’s Department, fire, Pitsburg, Pitsburg Fire Department. Bookmark the permalink.